Graham A.Pavey is an independent landscape and garden designer designing landscapes and gardens which are innovative, relaxing, easy to maintain and easy to use. He has been designing gardens for 30 years and we are very proud of the early gardens which are still growing and developing - our gardens are designed and built to last. 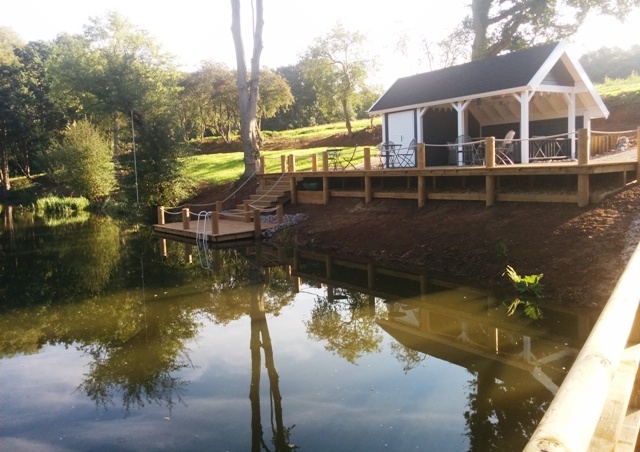 We are independent of any landscapers, landscape gardeners or builders ensuring that gardens we work on are designed for you and built correctly and soundly. Designers working for landscapers/builders are often tempted to design for maximum profit. Some clients have returned to us for a new design whenever they move house (4 gardens in one case) and in other cases we have produced designs for members of the same family (the most being 5). Above all, Graham is a horticulturalist as well as a garden architect meaning that you would be working with someone with great knowledge and a love of plants and gardens. He will be able to identify the plants in your garden and advise you on how to get the best out of them. Just an hour in your garden with Graham would be invaluable and save you time and money. Although we do not build the gardens ourselves, we have preferred landscape gardeners, or landscapers, who have been building from our garden designs for many years. This leaves Graham free to represent the client and ensure the work is carried out to the highest standards. What is Garden Design? Good question. There seems to be a lack of understanding, within the industry, of garden design. Graham was trained by some of the leading garden designers of the 20th century and uses techniques designed to make a garden feel comfortable and roomy. Couple this with a desire to ensure the construction is carried out to a high standard, that the new area is practical and easy to look after, and you will have a good idea of what we aim to achieve. From redesigning a part of the garden as the result of a new conservatory, or extension, to advising on front garden design to keep paving to a minimum and thereby save money for the client. The garden design is only the first stage in the process of creating a garden. Construction, obtaining the plants, planting and maintenance are all important elements and we give assistance at every stage. We have other services which can be seen on our Services page. Graham is also an author, and garden writer, and has written 6 books on garden design subjects. Some of his books have been published in French, German and Portuguese. He also gives talks on behalf of the Royal Horticultural Society and lectures extensively on garden design subjects. Graham has also judged the show gardens at many garden shows, including the East of England Show and been an assessor for the Northampton University degree course on Garden Design. 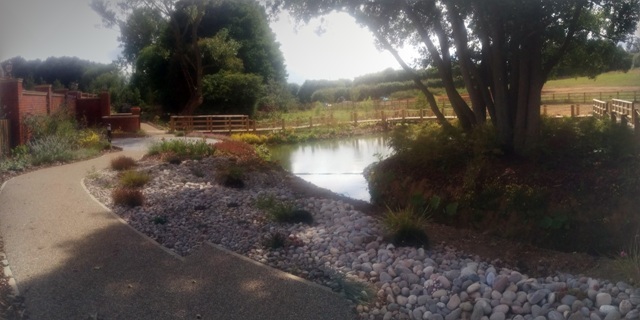 Other prestigious projects include Sheri's Worship Garden at Bromham Lower School and the Tranquility Garden at Bedford Hospital. 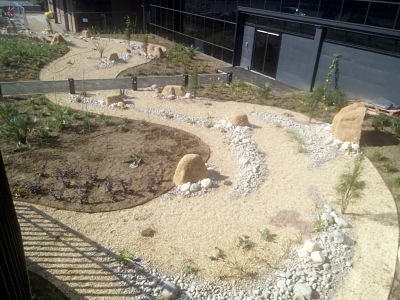 The latter Landscape Design incorporating Swan Sculptures by Susannah Oliver. How far will Graham A.Pavey Garden Design travel? Based in Bedford, Graham will travel to Berkshire, Buckinghamshire, Cambridgeshire, Derbyshire, Essex, Gloucestershire, Hampshire, Hertfordshire, Kent, Leicestershire, Lincolnshire, London, Middlesex, Milton Keynes, Northamptonshire, Nottinghamshire, Oxfordshire, Rutland, Suffolk, Surrey, Sussex, Warwickshire and Yorkshire. Graham has also designed gardens in France, Spain and Italy. 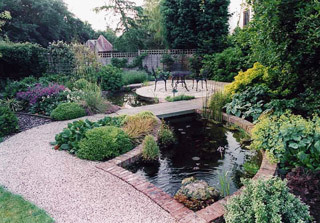 In fact Graham A.Pavey Garden Design will design gardens in any part of the United Kingdom, Europe and North America. We would strongly endorse Graham’s work. He produced a beautiful design for our garden which creates corners and areas of interest and changing colours throughout the year. The flowers are unusual with beautiful combinations of colour and scent. A small investment for a daily injection of happiness.. Thank you so much for designing such a lovely patio garden for us to enjoy and for recommending the contractors to us. The work they have done is absolutely superb and we are extremely happy with everything.